Funding models, legal issues and a lack of urgency are among the early findings of research being done to examine the challenges associated with the transition from legacy 911 systems to a next-generation architecture, according to speakers during a recent webinar on the subject. An ongoing study will examine current 911 funding issues across America—including the actual use of surcharge revenues intended for emergency-calling services—and the long-term viability of funding models, according to speakers on a webinar yesterday. The results, the first installment of which will be available next year, are meant to help raise awareness about the cost to transition to an IP-based system and how that might be financially supported. 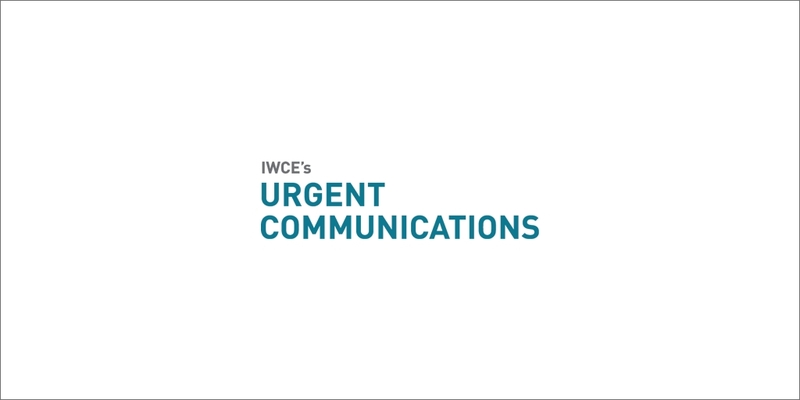 The Industry Council for Emergency Response Technologies (iCERT) and Texas A&M University, who are research partners for the study, offered a glimpse of the early findings during an IWCE’s Urgent Communications webinar. A replay of the webinar, “Fortifying Access to First Response: Funding Considerations for 9-1-1 and the Transition to IP-based Technologies,” is available on demand here. The ongoing research, led by Walt Magnussen—associate director for the Academy for Advanced Telecommunications and Learning Technologies at Texas A&M—will collect information from 18 states, seeking to identify the factors that will affect emergency calling in the future and whether alternate funding models should be considered. Seven states, including California, Pennsylvania, Michigan and Texas, have already been studied. iCERT plans to publish a series of recommendations for funding mechanisms, starting with the first volume in early 2015, said George Rice, executive director of iCERT. “The resources needed to construct, maintain, staff and update 911 communications centers and field operations are significant, particularly given the need to move to next-generation 911 which includes Internet-based emergency calling,” Rice said during the webinar. The research team is taking a close look at 911-surcharge fees, which are a primary source of 911 funding for many jurisdictions. Some states already have reported that they are unsure how the revenue is being collected or distributed, Magnussen said. The study is documenting whether the fees are being used for their intended purpose—funding 911—and, if not, whether legislation been proposed to correct that. The study also aims to identify how 911 fares when competing against other public-safety priorities for general-fund dollars. “Right now, obviously there’s a lot of talk about the public-safety broadband network and the LTE networks that are being built … so where do we sit with the competing services?” Magnussen said. Some respondents have acknowledged that the status quo cannot be sustained with the existing model for emergency communications, Magnussen said. That is causing people to take another look at sharing resources, which can lower costs and help avoid increasing taxes. “When you look at the transition from E-911 to NG-911, I would argue that the NG-911 architecture lends itself more toward consolidation. It’s probably an architecture that would be more efficiently run at a shared level than independently,” Magnussen said.